CAGNE, Communities Against Gatwick Noise and Emissions, has today (13th August) written to the Secretary for State Rt Hon Chris Grayling Mp, concerning the unacceptable strategy of prosperity at any price, that’s according to the latest business led report ‘Gatwick 360’ by Coast to Capital Enterprise Partnership. CAGNE say that the report completely ignores the disastrous impact Gatwick Airport has on the counties of Sussex Surrey and Kent; the decline in the wellbeing of its communities and asks of the Secretary for State for assurance that Gatwick Airport will be restrained. And yet the growth of Gatwick, which aims to break the 50m passenger target, takes no account of the lack of infrastructure in the road and rail that is causing the area to grind to a halt and produce a marked decline in air quality. Business and locals are already suffering the road works on the M23 with the introduction of a ‘smart road’ system which was planned for the natural growth of the area up to 2040 and not for Gatwick’s growth. In addition much is made of the improvements at East Croydon of the Windmill rail junction but this again was planned for the natural growth of passengers in the south east and not for Gatwick to congest the network with more low cost sun seekers and their luggage. It is extremely exasperating that leaders, such as Louise Goldsmith of West Sussex County Council, and Rt Hon Greg Clark MP both ignore the impact Gatwick is having on their geographical areas of responsibility with the increases in Gatwick aircraft noise 24 hours a day. Gatwick causes a maior bottleneck on the rail and road networks and stops the growth and prosperity of other businesses and impacts the wellbeing of residents, voters, who have to suffer the congested roads outside their homes as passengers endeavour to reach Gatwick; parked cars on their verges; the high street can’t compete with the low cost shopping at the Gatwick malls which entice a trapped audience to spend before they leave the UK; and causes maior issues for rail passengers that find the line jam-packed with luggage and sombreros. The CEO of Gatwick describes it as the growth corridor from London to Brighton’. We would refer to it as the traffic jam corridor of declining air quality, over crowded areas with little in the way of schools, hospitals. 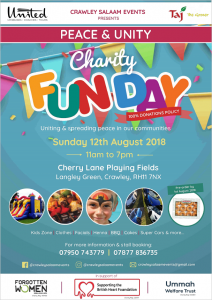 affordable housing, lack of staff, and non stop unacceptable levels of noise low aircraft making rural areas of Sussex, Kent and Surrey noise ghettos. If you are a member please make every effort to attend. non-members will be able to join on the night and then attend the meeting. 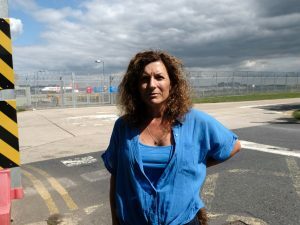 Gatwick Airport has welcomed news that it’s ‘noise footprint, is shrinking, though protest group CAGNE say the report does not tell the full story. The Civil Aviation Authority report says the number of residents experiencing an Leq of more than 52dB fell from 12,300 in 1997, to 4,800 in 2007 and 3,400 in 2017. Leq, or equivalent continuous sound level, is a way to describe sound levels which vary over time. Government policy considers an Leq of 57dB to be the point at which aircraft noise causes significant annoyance. Most Gatwick flights are by Airbus A320, almost all of which have now been modified to be quieter on their approach to landing. Andy sinclair, Gatwick’s Head of Airspace, said: “The reduced noise footprint is welcome and demonstrates encouraging progress but we also recognise that noise continues to be an issue for local residents and we will push on with our challenge to reduce noise further. However, a response from Communities Against Gatwick Noise and Emissions (CAGNE) said many of the people affected by noise are outside the 57dB ‘noise footprint’ and are still being affected. “The problem with the CAA report is that they worked on an average of noise (16 hour daytime and eight hour night over 2017 summer),” it says. “Residents awaken at night or unable to use the garden during the day due to aircraft noise, do not hear noise in an average way, they hear noise as significant events whilst endeavouring to enjoy their desired tranquility. “Areas of Sussex, Kent and Surrey, outside of the footprint, report they are significantly affected by aircraft noise but are not included in the footprint as they reside outside of the LOAEL (Government noise metric of Lowest Observed Adverse Effect Level) and noise contours. 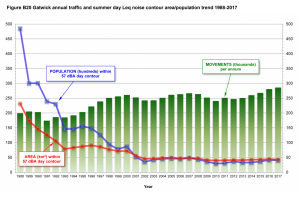 “It is true that planes are quieter, but the frequency by which they are flown has dramatically increased and this is having a significant impact on residents as is the lack of ‘best practice’ to how planes are flown to reduce noise by airlines. “The CAA report details an increase of aircraft movements of 780.8 for 2017, a 1 per cent increase on 770.6 in 2016 during an average day of 16-hours, and an increase of 1 per cent from 2016 to 127.1 aircraft movements for eight hour average at night. Gatwick detail why the noise footprint has shrunk, but CAGNE would point out the following: It took residents many years of letter writing to EasyJet and Gatwick to have the A320 retro fitted do reduce the noise. “This acclimatising with the formation of the Gatwick Arrival Review that formed the Noise Management Board and had the retro fit as an activity to be undertaken. “The final agreement by EasyJet, and other airlines, to retrofit to reduce noise on arrivals and departures has to be welcomed. “Another factor that could illustrate why the population impacted by Gatwick has reduced is that Gatwick introduced concentrated flight paths on all departure routes in 2014 that has caused huge increases in noise complaints even though Gatwick has removed the complaint email address and phone line. Prior to 2014 communities had accepted dispersed flight paths, sharing the burden of Gatwick’s 24/7 noise activities, but with the introduction of concentration on departures (PRNAV for modernisation of airspace) comes single carriageway motorways above peoples homes which are unbearable especially as Gatwick continues to push for growth. “Noise complaints continue to grow In 24,658 for 2017 from 17,715 for 2016, significant increases from years when the aviation industry describes planes as ‘very noisy’ (4,791 in 2006). 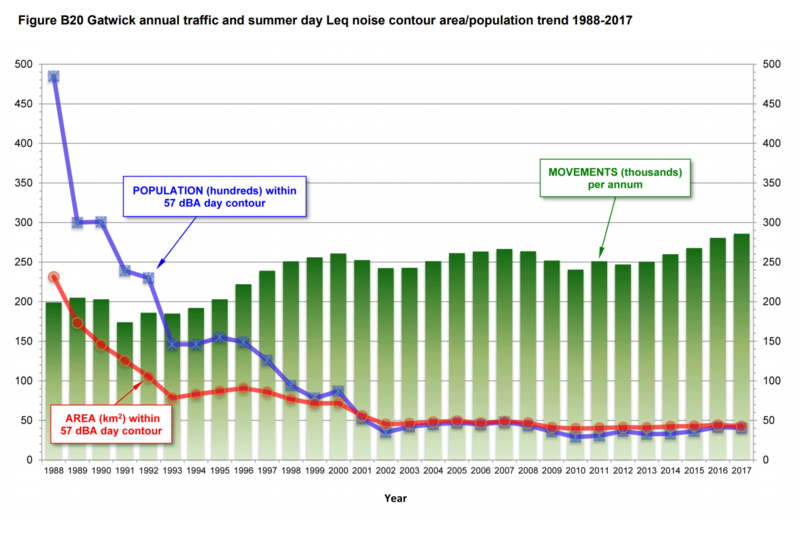 “The Noise Management Board is made up of predominantly community groups concerned with noise outside of the noise contours, illustrating that the footprint may be seen to have shrunk in an average way, but not according to residents of Kent, Surrey and Sussex. “This month Gatwick management were asked to meet with the Aviation Minister and local MPs due to the significant increases in Gatwick’s noise impacting those that have no reprieve from aircraft noise and those that are not recognised as being significantly affected by aircraft noise.